Pilots and flight attendants know that being gone from home for more than half of the month can be tough on the waistline. This is especially true for vegetarians. Too many times I have found myself at some restaurant close to the hotel after a long 5 leg day, wolfing down a grilled cheese with french fries because there were no nutritious veggie options. Eating out with the crew after a long day is part of the job but it doesn't necessarily have to kill your diet. One can still eat out every once in awhile but should be packing their own meals. While we are on the subject, if you haven't seen my recipes yet, make sure you check them out for delicious, healthy meal ideas. While creating your own meals, you should be thinking macros. Measuring macros is the simple way to manage your diet on the road. “Macros” is short for macro-nutrients which are the measurable amount of protein, carbs, and fats you consume each day. Bodybuilders will manipulate these numbers to shed fat or build more muscle. Using macros to plan your day is actually super beneficial for even the normal non-weightlifting person. Measuring macros takes all the guess work out of your diet. is a must for all vegetarian pilots and flight attendants. Without it, one is at the mercy of the road. Spoiler alert; The road shows no mercy!!!!! 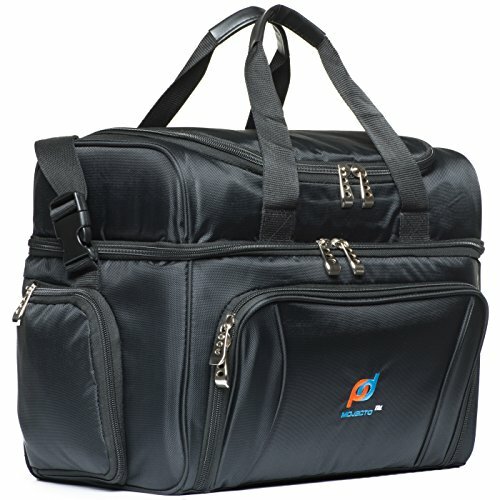 A cooler bag is a must for all vegetarian pilots and flight attendants. Without it, one is at the mercy of the road. Spoiler alert; The road shows no mercy!!!!! The reason I call the cooler an investment is because it will pay for itself 50 times over. Eating out on every trip will demolish your bank account. With my cooler bag I can pack enough food to eat every meal from my bag for a whole four day trip. This is impressive because I usually eat about four meals a day. Granted, at least one of my meals is a protein shake but it still holds a lot of food. I use the Luggage Works brand bag. I give this thing a 10/10. It holds a ton of food and is still in one piece after over 2500 hours of flying including many 8 leg days over 3 years at Great Lakes. This thing is tough. It cost about $70. It attaches nicely to my roller bag as well! My cooler bag attaches to my luggage hook. I have my "LAX Crew" tag so I can proudly represent! 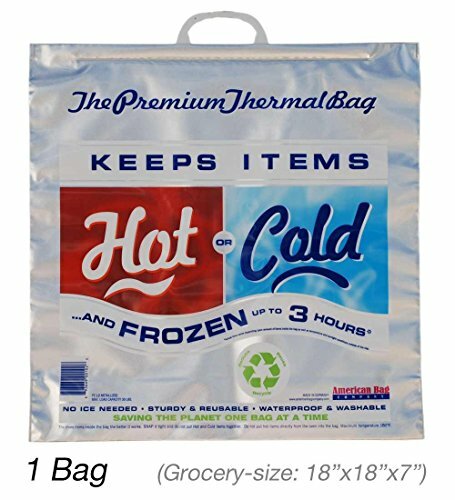 You can buy your own cooler bag if you don't already own one through this Amazon link. Every vegetarian and vegan airline pilot needs one! All profits made through our Amazon affiliation go to the Boys' and Girls' club of Harbor City, CA. These Thermal Bags make a decent substitute for a proper cooler. You can buy one for $6 on Amazon. They are big enough to hold a lot of food and can be stored in your roller bag. You will need to throw in some cold packs to keep the food cold over a long day. All images displayed below are from my recipes. There are generally two types of ways I contain my food for trips; Glass containers and tin foil wrapped sandwiches and wraps. The glass containers are perfect because they can be heated up in the aircraft oven. The plastic tupperware would not be able to handle this. This video is a great example of how I usually pack for trips. It shows how I meal prep and store my food in my cooler bag. Tin foil is another option for heating up in the oven. This allows me to heat up my wraps in between flights. The tin foil will keep the wrap/ sandwich intact and fresh. You need to figure out your average caloric burn each day. There are plenty of websites and apps that will give you an approximation. You can also sign up with certain fitness businesses that have body scanners to give you a more exact measurement. I did this recently at Optimum Nutrition in Torrence, CA. and found out I burn approximately 2300 calories a day with my current lifestyle. Nutritiondata.self.com has a free calculator that will give you a good approximation of how many calories you burn based on your height, weight, and age. Now that you know your caloric burn, it's time for the next step. Do you want to bulk up? Do you want to slim down? Do you want to build some muscle but still lose that body fat? Once you decide this, you can figure out your caloric intake for each day. If you want to build muscle, then you must increase your calories. How many calories to increase depends on how fast your metabolism is. If you are someone who historically struggles with putting on weight than you might try adding 500 calories. If you are someone who can gain weight easily, just add 100-200 calories. If you are trying to slim down, you should subtract about 100-200 calories from your burn and eat only that each day. Also, It is important to take into account calories burned when working out so not to starve yourself from to little calories. If your deficit is too much, you are essentially anorexic and will feel terrible. How many of your calories should be protein? For vegetarians, eating enough protein daily can be a formidable task. I wrote an article all about the benefits of airline pilots and flight attendants starting their day with a protein shake. If you are actively trying to put on muscle, you should be aiming for close to your body weight in grams of protein. This means if you weigh 180 pounds, you should be eating 180 grams of protein. You want to eat a similar number for grams of carbs as well. A good formula for macros is 40/40/20. 40% of your calories should be protein, 40% carbs, 20% fats. When I worked out with a trainer, he gave me macro goals. One set of goals for when I was sitting in a plane all day vs. days when I was able to get a good workout in. On days when I wasn't working out, I decreased my carbs and increased my protein. Here is mytravel diet on an excel spreadsheet I made. As you can see my protein intake was super high while my carb intake was lower. I wouldn't call this diet necessary for the normal person. This is an ultra high protein diet because I was working with a trainer at the time. As a pilot or flight attendant who just wants to stay slim on the road, I would say just manage your caloric intake and try get some decent protein in your meals. Below is the meal plan that I use now. It is manageable and I don't have to eat so many meals. How should you divide your meals? On a 2000 calorie diet, I eat two meals with some small snacks in between. I might start the day with a protein shake in the morning. A couple hours later I will have a PBJ sandwich. Around lunchtime I will have my signature Mediterranean Tofurkey Sausage pita. I might have some almonds or a protein bar for a snack and then have the Quinoa with Spanish style kidney beans for dinner. It's a filling diet for the day but also will keep me from overeating. On this plan I maintain energy throughout the day, get lots of protein, and eat tasty food all while staying within the limits of my diet to stay slim. Avoiding high calorie meals a.k.a. avoiding the "itus". As a rule of thumb, I try not to eat more than 30% of my daily calorie allotment in a single meal. I find that when I break this rule, I find myself on the backside of the energy bell curve. Ingesting too many calories tends to cause my body to go into hibernation mode. In the South, they call this the "itus". The "Itus" is when you eat a really heavy meal and want to take a nap. This is the backside of the energy curve. Your body is now actually expending more energy to digest the food than it is receiving from the food itself. This is exceptionally important for airline pilots and flight attendants who have important jobs to do during the day. The best thing you can do to get in shape is to start good habits and keep working at staying disciplined. You shouldn't become obsessed with being perfect. Instead, work on improving your diet. You will notice that the more you practice healthy eating, the easier it becomes. Also, it's not the worst thing ever to eat some tasty but unhealthy food every once in a while. Pizza and ice cream can be the best remedy after a tough day. Just remember that what you sow, you must reap. If you are eating over your caloric burn for the day, you are gaining weight. Thinking about your diet in quantifiable numbers will really help you plan out each day. The more you can plan and actually stick to it, the more success you will see.